If House Republicans are so sure they can legally subpoena documents from the Mueller and related investigations, then why don’t they file a lawsuit to require the Department of Justice to provide the documents? The answer is obvious: a court would probably decide that Congress may not intrude in an open criminal investigation. Congress can and should investigate possible prosecutorial misconduct in closed cases. Congress cannot, however, ride shotgun in an open investigation, especially not to help political allies who are likely targets. Possible interference in American elections by foreign powers, obstruction of justice, and corruption by government officials are obviously proper subjects of congressional investigation. Congressional committees frequently investigate matters that are also the subject of other government investigations. And sometimes the information elicited by congressional investigations unavoidably helps one party or another to a legal proceeding. The House investigation and the Mueller and related investigations are not concurrent investigations of the same questions, however. The House is investigating the other investigations, and the disruptive effect of the House investigations on those investigations is intentional. The possible abuse of prosecutorial power is also a proper subject of congressional oversight. There is no government power more susceptible to dangerous abuse or more in need of constant independent scrutiny than the power to bring, or not to bring, criminal charges. Congress conducted investigations of the Department of Justice’s investigation of the Teapot Dome scandal in the Harding Administration, in which the Department of Justice ignored evidence of criminal misconduct by administration officials, and the politically motivated firing of United States Attorneys in the George W. Bush administration. “Given its unique ability to address improper partisan influence in the prosecutorial process … [n]o other institution will fill the vacuum if Congress is unable to respond to this evil,” the federal district court said in U.S. House of Representatives v. Miers (2008). Here’s the difference: the current House investigation is of open criminal investigations with the obvious purpose to hinder the investigations to assist likely targets. Congressional committees have from time to time requested material that pertained to open criminal investigations. The Department of Justice has said no. And Congress has taken no for an answer. The American political system has always worked better in practice than in theory because Americans have made it work, largely through widely accepted norms of behavior that are not legally enforced. Many House Republicans now do not accept the traditional norm against political intrusion into criminal investigations, and many Trump supporters regard any such norms as just more political correctness. Consistent adherence to accepted norms does not generate a wealth of case law, but there is plainly more than self-restraint that prevents Congress from demanding information about active criminal investigations. “[T]he power to investigate must not be confused with any of the powers of law enforcement; those powers are assigned under our Constitution to the Executive and the Judiciary.” Quinn v. United States (1955). “Since Congress may only investigate into those areas in which it may potentially legislate or appropriate, it cannot inquire into matters which are within the exclusive province of one of the other branches of the Government. Lacking the judicial power given to the Judiciary, it cannot inquire into matters that are exclusively the concern of the Judiciary.” Barenblatt v. United States (1959). When Congress has veered from its lane, the courts have not enforced congressional subpoenas. In Kilbourn v. Thompson (1881), the House issued subpoenas to determine whether a bankruptcy trustee had favored some creditors over others in a major bank insolvency. The defendant refused to testify and the House held the defendant in contempt. The Supreme Court reversed the conviction. “The matter was still pending in a court,” the Supreme Court said, “and what right had the Congress of the United States to interfere in a suit pending in a court of competent jurisdiction.” The bankruptcy court had adequate power, the Supreme Court said, to remedy any injustice to creditors that a congressional investigation might reveal or legislation might address. In United States v. Icardi (1956), the House Armed Services Committee concluded that while in military service in Italy, the defendant had embezzled from the government, brutally murdered an American officer, and concealed his crimes. The defendant escaped court martial because he left the service. The committee invited the defendant to testify, and the defendant freely answered questions and reiterated his previous denials of guilt. The stated purpose of the hearing was to consider whether existing court martial laws were adequate to punish crimes committed by former military personnel while stationed outside of the United States. The hearing closely resembled a criminal trial of the defendant, however. After the hearing, the committee presented the prosecutor with a transcript of the hearing along with evidence of the defendant’s guilt, and the prosecutor indicted the defendant for perjury. The committee chairman testified that the committee called the defendant “to give him an opportunity to tell him his side of the story,” but admitted that he had discussed with committee staff in advance the possibility of a perjury prosecution as a result of the defendant’s testimony. The federal district court found, “It is unnecessary for the court to determine for which purpose [the defendant’s] testimony was sought or obtained, since neither affording an individual a forum in which to protest his innocence nor extracting testimony with a view to a perjury prosecution, is a valid legislative purpose.” The court held that the defendant’s testimony was not material to any proper legislative purpose and directed an acquittal. Confrontation between Congress and the Department of Justice would only undermine the American people’s confidence in our democratic institutions when confidence in those institutions—and acceptance of traditional democratic norms—is already fragile. There is now an established procedure to decide disputes between Congress and the executive branches over Congress’s investigative powers. Congress can file a lawsuit for declaratory and injunctive relief. Congress can ask the court to declare that Congress’s subpoena is lawful, and issue an injunction to require the executive branch to provide the information demanded by the Congressional subpoena. The failure to provide the information would be contempt of court, under Miers and Committee on Oversight and Government Reform v. Holder (D.D.C. 2013). Robert Mueller and Rod Rosenstein have every reason to feel confident about such litigation. So Mueller and Rosenstein can handle House Republicans’ contempt for traditional democratic norms. President Trump’s contempt for traditional democratic norms is obviously much more of a problem. 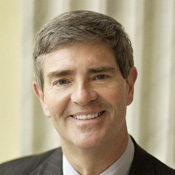 Brad Miller is a 1979 graduate of Columbia Law School and served as law clerk to Judge J. Dickson Phillips, Jr., of the U. S. Fourth Circuit Court of Appeals from 1979 to 1980. He is a member of the North Carolina bar and practiced law in Raleigh for more than 20 years. He represented North Carolina in the U. S. House of Representatives from 2003 until 2013.